← We’re looking for a Hairstyling Instructor in Calgary, Edmonton and Saskatoon! 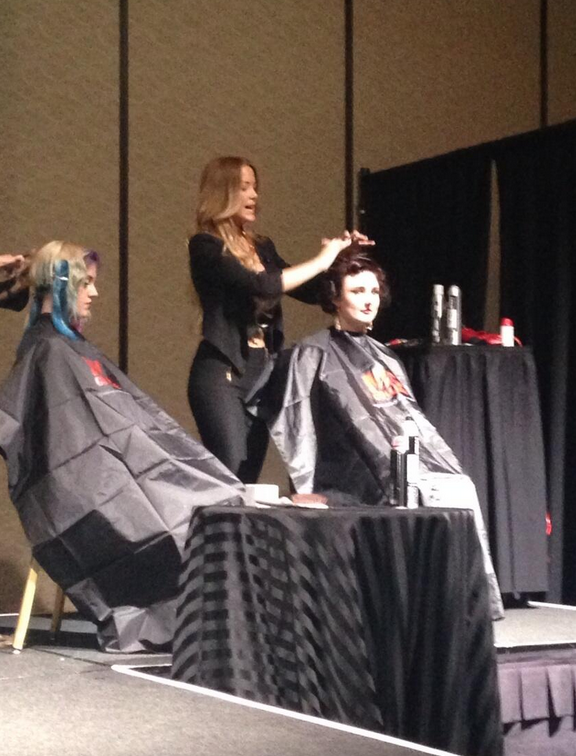 Student blog: My amazing experience at the North American Hairstyling Awards!! My name is Tybie Schmaus. I am a student at Saskatoon MC College. I am one of the fortunate Hairstyling students to have flown to Las Vegas on July 12 for the NAHA’s (North American Hairstyling Awards). The experience was amazing and inspiring. It opened my eyes to the amazing career opportunities. I guess you could say I figured out what I want to do in my career path once I graduate. 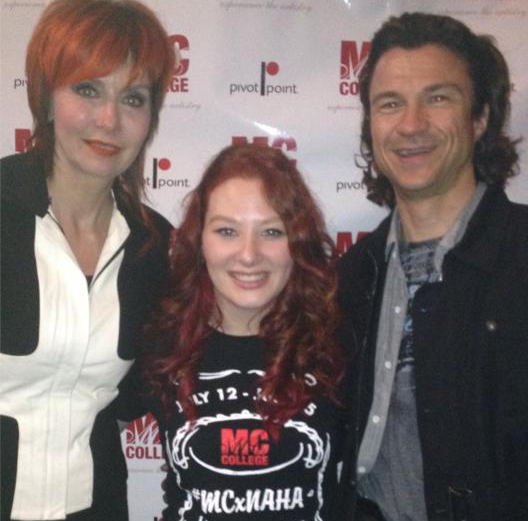 All the students from the MC College campuses that came to Vegas met for a morning of inspiration and fun. We watched our instructors and fellow students do demonstrations of haircuts and up-dos. We were fortunate to have Laddie James (Hairstyling Inn) and Yollie Ten Koppel (Pivot Point) there to show us some very cool things you can do with a person’s hair. Next came our guest speaker, Mr. Micheal O’Rourke. 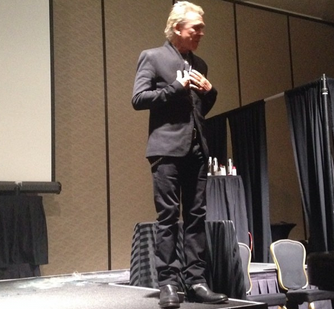 I have never been more certain that I made the right decision going to hair school than I was during his speech. The things I took from that were to always believe in yourself and you can achieve anything.. and that nothing good comes without some hard work. 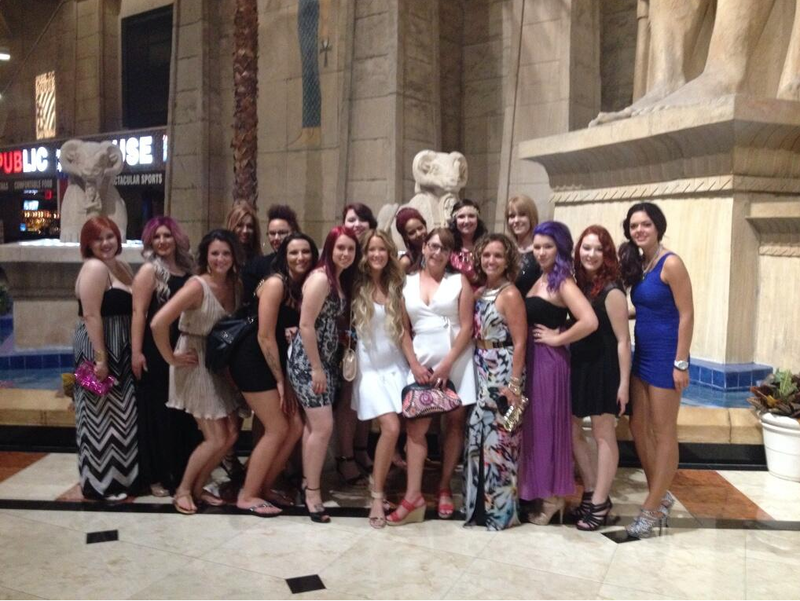 The following night was the NAHA’s and everyone was dressed to impress. Including the models and stylists featured in the shows. It was amazing to see the creativity put into the looks by the stylists. I was seeing things done with hair that I never would’ve thought possible. I feel inspired to work toward entering the student category for NAHA 2015. This experience is one that I will carry with me forever and will inspire me in my future endeavours.